Home / Social Media / What is Klout? Klout uses information from multiple social media forums to determine your Klout Score, a figure that estimates how well your company connects with desirable customers in its online advertising and promotional efforts. Unlike traditional advertising, which is rapidly becoming ineffective at targeting modern consumers, digital promotions have become interactive, customer-service oriented and strategically essential for engaging modern audiences. Social media forums offer the most effective ways for companies to attune their advertising strategies to today’s digital and connected consumer. What Determines a Company’s Klout Score? Klout uses the major social media forums to determine your influence and assigns a number from 1–100 as your company’s Klout score. Influence is the ability to generate action from people such as sharing content, sending Tweets or comments and liking a site. Social networks that determine Klout scores include Twitter, Facebook, Google+, Klout, Tumbler, Wikipedia, YouTube, LinkedIn, Instagram, Blogger, Flickr and WordPress. Scores are cumulative instead of averages, so building links and adding networks increase your score. 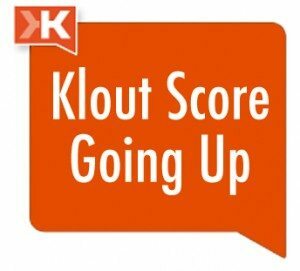 How Does Knowing Your Klout Score Help a Business Grow? For argument’s sake, say that you’re a business retailer in North Canton, Ohio. The area is home to 17,488 people according to the 2010 census. Social media jobs, telecommuting and connecting with people from Ohio’s bigger cities are very popular pursuits among computer-savvy North Cantonites. 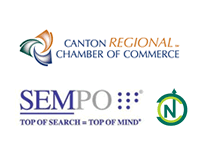 Your business can reach a wider audience, attract Internet business and generate greater loyalty among consumers by taking part in social media activities that are popular in North Canton. Klout makes it easier for you to choose and share content based on your company’s interests and what works for similar companies. You can test new products with influential Klout experts and improve your score among targeted demographic segments of potential customers. Do I Really Need to Bother with Yet Another Online Marketing Tool? You really don’t need to bother with new technologies if you have a recession-proof business, customers that live forever and clients who never move away or change brands. If any of these things aren’t true, then you need to constantly attract new business by using best practices for contemporary advertising and promotion. Where Can I learn More About Klout and Social Media Strategies? Run a keyword search to find out more about Klout, or check Klout’s website resource for further information and answers to your questions. Regardless of personal feelings about digital marketing, SEO and building an online reputation, savvy executives understand the continually evolving nature of business. Companies that don’t diversify and adopt current practices risk becoming irrelevant and losing business to their competitors. Klout helps you understand how people perceive your company so that you can take appropriate measures to enhance your image and attract new customers. Business changes over time, and companies that don’t respond don’t thrive. ← What is Duplicate Content? → Why is Local SEO Important?